Is Waverly Hills Sanitorium in Louisville, Kentucky haunted? 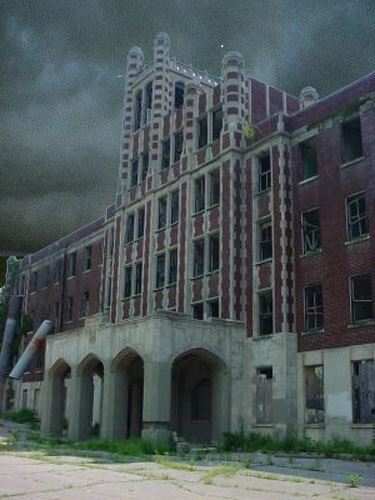 Construction on the Waverly Hills Sanitorium building began in 1908, and it opened on July 26th, 1910. The building was created to deal with the high number of tuberculosis patients, as Louisville had the highest number of TB sufferers in the state. The building was built to accommodate 40 to 50 people but sometimes had up to 140 patients. The original building was quite small but was expanded to deal with the high demand. When a vaccine was discovered the building was turned into a nursing home, but budget cuts in the 1960s and 1970s meant that the quality of patient care rapidly declined and it closed for good in 1982. The building today is privately owned and stands vacant. In 1928 the head nurse was found dead, hanging in room 502 on the 5th floor for no obvious reason. Rumours spread it had something to do with an unwanted pregnany, but whatever the real reason was, we'll never know. A little over 4 years later the new head nurse apparantly saw the ghost of the woman who commited suicide and was that terrified she lept out of the window, falling to her death. It's the unsettled spirit of the first head nurse that regulary tells people to "go away" and slams the door violently. Another terrifying place is the tunnel the leads from the hospital to the railroad. This was built to try and hide the amount of deaths from the patients, as for a period of time 1 person every hour for 24 hours, 7 days a week died. Arguably the most haunted areas are the ground and fourth floors. In both areas people experience horrifying poltergeist phenomena such as rocks being thrown, beds moving, doors banging and steel gates closing on their own. One member of Living TVs Most Haunted crew was actually cut several times on his back and front whilst laying down on a mortuary slab in the morgue by a maleviolent presence of an old woman. Proof that this is not only a terrifying place to be, but a dangerous one too.